University of Massachusetts Press, 9781625340528, 244pp. 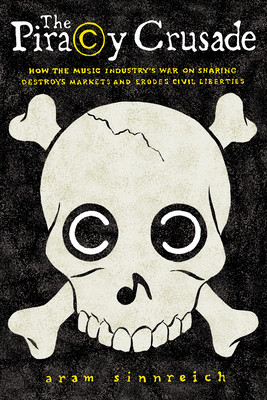 In The Piracy Crusade, Aram Sinnreich critiques the notion of "piracy" as a myth perpetuated by today's cultural cartels -- the handful of companies that dominate the film, software, and especially music industries. As digital networks have permeated our social environment, they have offered vast numbers of people the opportunity to experiment with innovative cultural and entrepreneurial ideas predicated on the belief that information should be shared widely. This has left the media cartels, whose power has historically resided in their ability to restrict the flow of cultural information, with difficult choices: adapt to this new environment, fight the changes tooth and nail, or accept obsolescence. Their decision to fight has resulted in ever stronger copyright laws and the aggressive pursuit of accused infringers.